Schwanenstadt (Austria) / Paris – The Austrian specialist helmet manufacturer ULBRICHTS Protection will be represented twice at the Eurosatory international trade fair in Paris. From 11.06. until 15.06.2018, the European market leader for bulletproof titanium helmets will be present both at the booth of its French sales partner UNITIVE (Hall 6 Stand K48), a subsidiary of the Etienne Lacroix Group, and at the joint stand of Austrian Economic Chambers WKO (Hall 5A Stand G388). “We are very pleased to have found UNITIVE as a strong distribution partner for the important French market,” says Georg Scharpenack, Managing Director of ULBRICHTS Protection. In response to new threats of terror and people running amok, police units throughout Europe are adapting their deployment and protection concepts, including in France. Bulletproof helmets are an elementary part of personal protective equipment. “Only the high-tech metal titanium offers effective protection against bullets by virtue of its superior material properties and is therefore the first choice for police officers,” said Scharpenack. The product portfolio of ULBRICHTS Protection comprises three helmet series. The ZENTURIO meets the particularly high requirements of special units in terms of their protective surface and functionality. The HOPLIT was specially developed for patrolmen who are the first to be deployed in emergencies – two HOPLIT helmets are now carried in every patrol vehicle in more and more countries. The HOPLIT offers patrolmen the same level of protection previously reserved for special forces. 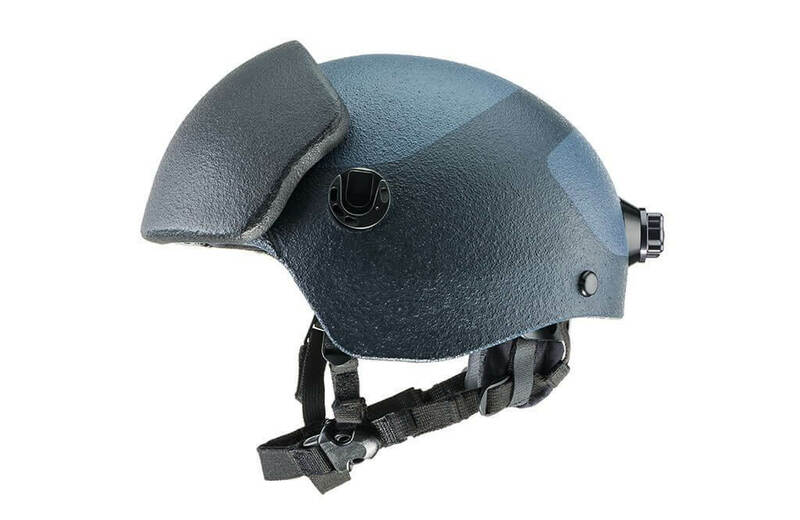 The OPTIO is a lightweight titanium helmet for use when hundreds of police are deployed. In escalating violent situations, it not only protects wearers against punches, kicks and projectiles, but also against bullets. ULBRICHTS Protection is thus the only manufacturer to offer a modular helmet concept for various units and purposes within the police force. The three helmet models are consistently tailored to the protective needs of their wearers and can be configured according to customer requirements. Among other features, ULBRICHTS Protection offers different helmet styles and contours, hybrid variants (titanium-aramid composite), paintwork and visor types, as well as adapters for the attachment of additional accessories. At the beginning of 2018, ULBRICHTS Protection became the first manufacturer in the world to introduce effective head protection against Kalashnikov fire. The combination of a titanium or titanium-aramid helmet (hybrid) and an additional front shield is able to stop the extremely high penetrating power of an iron core projectile from a Kalashnikov assault rifle while preventing a fatal trauma to the helmet wearer. FORTIS – the name of the patented front shield – is modular and can be retrofitted, thus increasing the level of protection in the particularly vulnerable frontal forehead area on VPAM 6. UNITIVE, a young company, founded in late 2016, is specialised in distributing products and services for military and police purposes and the French Gendarmerie. When selecting its partners, criteria such as integrity, innovative products, meeting certifications and standards are crucial. UNITIVE meets the requirements of demanding customers regarding cutting-edge technology, quality, delivery time, service and costs. ULBRICHTS Protection from Schwanenstadt (Austria), a division of ULBRICHTS GmbH, manufactures ballistic helmets made of titanium and titanium-aramid (hybrid). ULBRICHTS‘ international clientele includes special police forces, police units and military personnel. 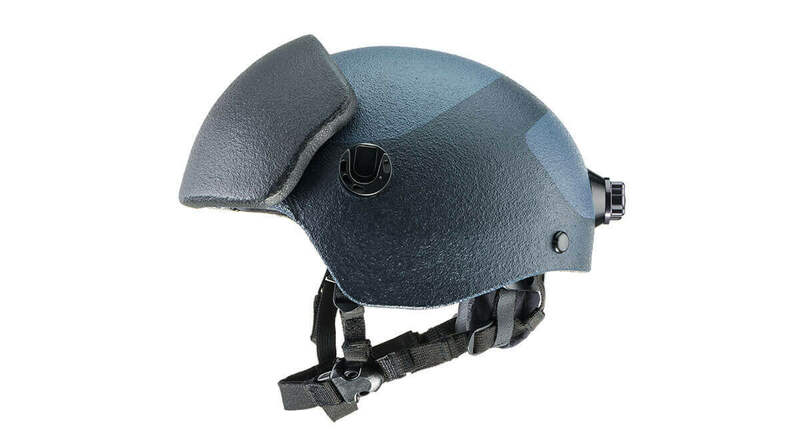 The company is one of the pioneers in the field of ballistic head protection and regularly sets new technical standards in terms of protection, comfort and design.